January 31st - Our first Open Gym for Kids will be held from 11am to 12pm. We will have an inflatable, soccer balls, mats to climb, a rollercoaster, trampolines and much more! This is $4 for members (can be billed through wodify) and $5 for non-members! This will be held every Thursday. February 10th - Double Under Clinic (10a-11a) come check it out with Coach Kate and also get a discount code to RPM! February 23rd - Need a night out? Sign up your kids for the “Lifting Hearts Program” at the coaches desk! This program is for ages 5- 12 years old and we will be running, working out, eating, playing games and watching a movie! The hours are 5p - 9p and you can be billed through Wodify or Venmo! The cost is $25 and there is a sibling discount! Don’t delay sign up today! 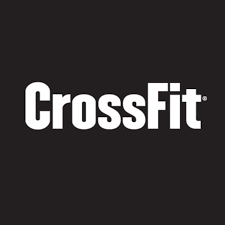 February 21st - CrossFit Open starts! 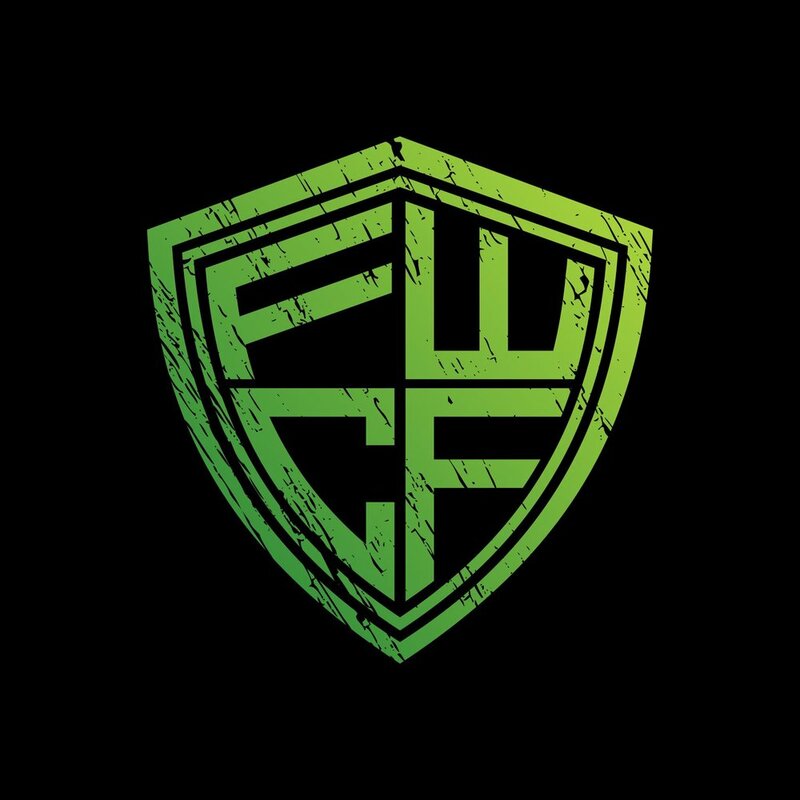 Sign up at games.crossfit.com and join our affiliate “Ft. Wright CrossFit” Don’t forget the “.” or it won’t find us! For this weeks blog post I thought I would write a quick summary of my trip to Miami and competing at Wodapalooza. I have a lot of experience working those type of events, and being behind the scenes making the event run. This was my first time since 2011 Central East Regionals, being an athlete and getting that perspective. Hats off to all the people that worked the event, and all the volunteers that sacrificed their time, without you guys the event would not be what it is. This was our day for check in and the initial athlete briefing happened that evening. The venue was in full swing however with the Gauntlet Competition, a Strongman Competition, and a Weightlifting Competition. If you remember Coach Zach Watts competed in the Weightlifting competition last year. We did watch some of that this year, and I think it is a pretty unique weightlifting meet in the way that it is ran. Instead of the format of a traditional weightlifting meet this one puts athletes head to head in a bracket style format. To account for differences in body weight they calculate the athletes sinclair total in real time. That lets the athletes know exactly what weight they need to hit to beat their opponent. The athlete briefing in the evening was uneventful aside from the fact that it made me realize how many athletes were there. Across all divisions there must have been over 1,000 athletes. There were 180 in our division(Mens Team of 3 Scaled) alone. Our weekend kicked off with an offsite event at 730AM. The event was a 5K run on the beach with 4 water entries on the way out to the turn around, and all soft sand running on the way back to the finish line. Our Uber driver took several wrong turns on the way there so we arrived about 715AM. Enough time to find the start line, strip down, and line up. Because we were late we started in the back of the pack (all 180 athletes started at once) and got off to a slow start. The water entries weren’t to crazy, as it was only about waist deep water, but the current created by all those bodies around the buoys was crazy. There was a really narrow path to run on the beach too that provided packed sand, but not the squishy or soft sand. As we rounded the 4th and last buoy I saw a volunteer holding that buoy in place and thought about how miserable that job was. Then as I went around the buoy I saw that it was actually Matt O’Keefe holding the buoy. 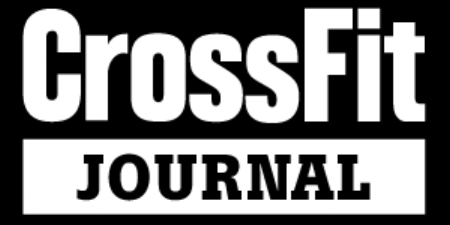 Matt O’Keefe is the owner of Wodapalooza, Red Line Gear, and is the agent for many top CrossFit athletes (Mat Fraser, Katrin Davidsdottir……) Respect Mr O’Keefe for leading from the front. The soft sand run back was tough, but having practiced running on the Air Runner all winter it wasn’t too bad, and hey I was running on the beach in January. My time was 22:?? I was last on my team, and our team was 26/60 on that event. That afternoon around 12:30 we had our second event for the day. It was a chipper of 75 alternating burpees over a box, 100 Double DB Snatches(35# my division), and 100 toes to bar. As we were loaded into the corrals to line up and go on the floor we found out that it was only 1 DB instead of 2, and that there were rules we had to follow when we switched. We were first in our heat off the burpees, went immediately to the DBs, and proceeded to get about 12 “no reps”. For whatever reason we couldn’t get our timing right on the alt snatches, and our judge was very picky. We made no switches and still dropped to about 8th off the snatches. We then did our 100 toes to bar as 30/30/30/10 following the switching rules we were told in the corral. Unfortunately those rules weren't being enforced for everyone and we finished 17th in that event. Third Event for Friday was around 615PM and was our only event on the main floor, and under the lights! That Event was a sprint relay, and I got to go first. My part was: 21 Thrusters (95#), 45’ Sandbag Carry(100#), 1 Rope Climb, 45’ Sandbag Carry, 21 Thrusters. The next athlete did less thrusters (18) and 2 Rope climbs, then last athlete did 15 Thrusters and 3 Rope Climbs. I couldn’t believe how fast that event went! I did my thrusters and went to the sandbag and I could see everyone in my peripheral vision running, that was awesome! The whole event I had Stephanie, Izzy, Matt, and Leah all sitting right in front of me and that made me push even faster. I finished my part around 1:50 and our total time was 6:05 for a 10th place finish. This was the day I had been really nervous for because of the swimming part. I have always been capable of swimming, but never done it for any type of competition. I spent the 2 months leading up to Wodapalooza going to the YMCA pool 3x a week trying to learn to swim efficiently and fast. The event was another relay where each person did: 30cal Ski Erg, 250m Swim, 30cal Ski Erg. We decided to put our best swimmer(Rob) first so he wouldn’t catch us in the water and have to wait (we had to stay in order). For that reason I went last. I paced my ski very conservatively, almost trying to delay my swim. When I jumped in the water it completely took my breath away, it was way colder than the water at the beach on Friday. I did a few breaststroke to catch my breath and then tried to switch to the freestyle I had practiced. I did about 3 strokes and switched back to breaststroke. The waves were pushing me around in freestyle and it was very uncomfortable. I tried a few more times in the swim to switch but never felt comfortable. Luckily I had practiced some side stroke and used that for the majority of the swim. I got out of the water and ran to the ski erg, when I tried to get on the judge told me I had to wait the second swimmer wasn’t back yet. Somewhere in the water, in all the chaos, I had passed Joe. He came out shortly after, did his 30 cal ski, and it was my turn. I had 1:15 to finish my 30cal ski, but I had been resting for a few minutes, so it wasn’t too tough. We finished just under the timecap of 17:00, good enough for 36th place. Saturday afternoon was our next event and my favorite of the weekend. It was: 50 Pullups (1 working, 1 hanging) 25 HSPU (1 working, 1 holding) 50 Hang Power Cleans (115#), then 50PU/25HSPU/50 Front Squats, 50PU/25HSPU/50 Shoulder to Overhead. We were really excited about that event because we are all strong at gymnastics and had a plan to do minimal switching. We did really well on that event(9th), but had a judging error(messed up the count costing us 5 reps) that would have put us in 6th for that event. It’s not a big deal, we were just doing it for fun, and I know how hard those judges work. We still had a great time on that workout, and it was my favorite of the weekend. There was a bad rain/thunderstorm in the morning this day, so all events before 11:30am got cancelled. I was pretty bummed about that, because our event had a 1RM Clean and Jerk in it, and I knew I could help my team. It would have also been interesting to see some of the top teams in our division do that event also. You don’t see a lot of “scaled” teams that can all CJ over 300#. I referred to it as the “Scaled Elite” division all weekend. Our last event for the weekend was at the Bayfront Floor(the same place as the swim workout) and overlooked Biscayne Bay. The perfect place to end our weekend. This event was unknown until Saturday evening when they announced it. We did our warmup, were taken to the corrals just off the floor, and given a completely different workout. Maybe not completely different but they added an extra 80 burpees and changed snatches to cleans. That event looked like this: 80cal echo bike and 80 burpees over a pylon, then 21-15-9 sync power cleans and burpees over the worm, then 30 squats with the worm. We had a good strategy in that we would just switch every 12cal on the bike, and that lead our order. So you would sprint your 12 cal, go to the burpees until the next guy did 12cal, then you would rest. We were one of the first 3 teams off that portion, then we kept that place through the 21-15-9. We paced that part a lot trying to avoid no reps, and used it as a little recovery. Then the worm happened. Our plan was to go for it, do all 30 reps in a row. Our fall back plan was 12/10/8 reps. We did 2 and got no repped, and dropped it. Then we got to 10 reps with 2-3 more no reps, dropped again. Long story short we went from 3rd to the worm to time capped on that workout for a 30th place finish. Our no reps were for: depth, pushing of the leg, not going down together, not coming up together, and the front of the worm touching the ground during a squat. Our judge was completely fair, but very good at his job! In my opinion our issue with the worm was spacing, the 2 guys in the back were very close and then there was a big gap to the guy in front. What a great event, and great people. We had no expectations of fame or oversized checks, we went down to have a vacation and workout. The atmosphere of Wodapalooza was great. It was much more laid back than other events I have been to. The athletes, spectators, vendors, and fans all seemed to be enjoying themselves. Truly a great representation of the community of CrossFit. Our team finished 17th overall in our division, and generally had an excellent time doing it. I would highly recommend Wodapalooza to anyone! As an elite athlete, Rx’d, Intermediate, scaled, teens, masters, or just spectator it is awesome. I will definitely be going back next year, but I’m not sure which of those categories I’ll fall in! A quick video how to read the Echo Bike number and what numbers you should be looking at! - Kids Day Camp is this Sunday (1/13) 12pm to 3pm ages: 8 and up! Sign up is on the Coaches Desk. - Our diaper drive is going on for our next four mamas! Help us shower them with diapers and wipes! - Katy Young Memorial WOD will be held on Saturday, January 26th, all classes will be doing her WOD. All classes are open to the public. Great job to all the participants! Let’s keep our healthy eating and tracking going into the New Year! - Parent/Kid Class this Sunday (1/6) noon! - Check the kids room before leaving if your child has been in there! In this episode we talk to Dr. Raymond Gardinier of Ranier Physical therapy. Topics include his background, education, treatments and trends in physical therapy, and also some common things he sees in his practice. Enjoy! Last kids class for 2018, is this Thursday! We will resume on 1/3/19! Parent/Kid Class on 1/6 at noon! Kids day camp on 1/13 from 12-3p! Sign up at the coaches desk! We are in the process of getting the podcast on “Apple Podcasts” and the “Google Play” apps. Once approved we have another episode ready to release with Ray from Ranier Physical Therapy! Thank you for your support and feedback on this fun project! Here it is, Episode 1 of our podcast! In this Episode we cover some back story of KG3 Nutrition, and dive into some common mistakes and questions associated with nutrition. Enjoy!